The Nobel Peace Prize would seem to play an incidental role in all this. Given the avalanche of system-sustaining class propaganda and ideological scenarios dished out to us, the Nobel Peace Prize remains just a prize. But a most prestigious one it is, enjoying a celebrated status in its anointment of already notable personages. Alfred Nobel’s will (1895) explicitly states that the peace prize should go “to the person who shall have done the most or the best work for fraternity between nations, for the abolition or reduction of standing armies and for the holding and promotion of peace congresses.” The EU is not a person and has not worked for the abolition or reduction of standing armies or promotion of any kind of peace agenda. If the EU award looked a bit awkward, the BBC and other mainstream news media came to the rescue, referring to the “six decades of peace” and “sixty years without war” that the EU supposedly has achieved. The following day, somebody at the BBC did the numbers and started proclaiming that the EU had brought “seventy years of peace on the European continent.” What could these wise pundits possibly be thinking? Originally called the European Economic Community and formed in 1958, the European Union was established under its current name in 1993, about twenty years ago. The Nobel Committee, the EU recipients, and the western media all overlooked the 1999 full-scale air war launched on the European continent against Yugoslavia, a socialist democracy that for the most part had offered a good life to people of various Slavic nationalities—as many of them still testify today. The EU did not oppose that aggression. In fact, a number of EU member states, including Germany and France, joined in the 1999 war on European soil led largely by the United States. For 78 days, U.S. and other NATO forces bombed Yugoslavian factories, utilities, power stations, rail systems, bridges, hotels, apartment buildings, schools and hospitals, killing thousands of civilians, all in the name of a humanitarian rescue operation, all fueled by unsubstantiated stories of Serbian “genocide.” All this warfare took place on European soil. Yugoslavia was shattered, along with its uniquely designed participatory democracy with its self-management and social ownership system. In its place emerged a cluster of right-wing mini-republics wherein everything has been privatized and deregulated, and poverty has replaced amplitude. Meanwhile rich western corporations are doing quite well in what was once Yugoslavia. 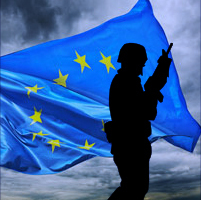 Europe aside, EU member states have sent troops to Afghanistan, Iraq, Libya, and additional locales in Africa, the Middle East, and Central Asia, usually under the tutorship of the U.S. war machine. But what was I to expect? For years I ironically asserted that the best way to win a Nobel Peace Prize was to wage war or support those who wage war instead of peace. An overstatement perhaps, but take a look. Let’s start back in 1931 with an improbable Nobel winner: Nicholas Murray Butler, president of Columbia University. During World War I, Butler explicitly forbade all faculty from criticizing the Allied war against the Central Powers. He equated anti-war sentiments with sedition and treason. He also claimed that “an educated proletariat is a constant source of disturbance and danger to any nation.” In the 1920s Butler became an outspoken supporter of Italy’s fascist dictator Benito Mussolini. Some years later he became an admirer of a heavily militarized Nazi Germany. In 1933, two years after receiving the Nobel prize, Butler invited the German ambassador to the U.S. to speak at Columbia in defense of Hitler. He rejected student appeals to cancel the invitation, claiming it would violate academic freedom. Jump ahead to 1973, the year one of the most notorious of war criminals, Henry Kissinger, received the Nobel Peace Prize. For the better part of a decade, Kissinger served as Assistant to the President for National Security Affairs and as U.S. Secretary of State, presiding over the seemingly endless blood-letting in Indochina and ruthless U.S. interventions in Central America and elsewhere. From carpet bombing to death squads, Kissinger was there beating down on those who dared resist U.S. power. In his writings and pronouncements Kissinger continually talked about maintaining U.S. military and political influence throughout the world. If anyone fails to fit Alfred Nobel’s description of a prize winner, it would be Henry Kissinger. In 1975 we come to Nobel winner Andrei Sakharov, a darling of the U.S. press, a Soviet dissident who regularly sang praises to corporate capitalism. Sakharov lambasted the U.S. peace movement for its opposition to the Vietnam War. He accused the Soviets of being the sole culprits behind the arms race and he supported every U.S. armed intervention abroad as a defense of democracy. Hailed in the west as a “human rights advocate,” Sakharov never had an unkind word for the horrific human rights violations perpetrated by the fascist regimes of faithful U.S. client states, including Pinochet’s Chile and Suharto’s Indonesia, and he aimed snide remarks at the “peaceniks” who did. He regularly attacked those in the West who opposed U.S. repressive military interventions abroad. Let us not overlook Mother Teresa. All the western world’s media hailed that crabby lady as a self-sacrificing saint. In fact she was a mean spirited reactionary who gladly welcomed the destruction of liberation theology and other progressive developments in the world. Her “hospitals” and “clinics” were little more than warehouses for the dying and for those who suffered from curable diseases that went untreated—eventually leading to death. She waged campaigns against birth control, divorce, and abortion. She readily hobnobbed with the rich and reactionary but she was so heavily hyped as a heavenly heroine that the folks in Oslo just had to give her the big medal in 1979. Then there was the Dalai Lama who was awarded the Nobel Peace Prize in 1989. For years the Dalai Lama was on the payroll of the CIA, an agency that has perpetrated killings against rebellious workers, peasants, students, and others in countries around the world. His eldest brother played an active role in a CIA-front group. Another brother established an intelligence operation with the CIA, which included a CIA-trained guerrilla unit whose recruits parachuted back into Tibet to foment insurgency. The Dalai Lama was no pacifist. He supported the U.S./NATO military intervention into Afghanistan, also the 78 days’ bombing of Yugoslavia and the destruction of that country. As for the years of carnage and destruction wrought by U.S. forces in Iraq, the Dalai Lama was undecided: “it’s too early to say, right or wrong,” said he in 2005. Regarding the violence that members of his sect perpetrated against a rival sect, he concluded that “if the goal is good then the method, even if apparently of the violent kind, is permissible.” Spoken like a true Nobel recipient. In 2009, in a fit of self parody, the folks in Oslo gave the Nobel Peace Prize to President Barack Obama while he produced record military budgets and presided over three or four wars and a number of other attack operations, followed a couple of years later by additional wars in Yemen, West Pakistan, Libya, and Syria (with Iran pending). Nobel winner Obama also proudly hunted down and murdered Osama Bin Laden, having accused him—without a shred of evidence—of masterminding the 9/11 attacks on the World Trade Center and the Pentagon. You could see that Obama was somewhat surprised—and maybe even embarrassed—by the award. Here was this young drone commander trying to show what a tough-guy warrior he was, saluting the flag-draped coffins one day and attacking other places and peoples the next—acts of violence in support of the New World Order, certainly every bit worthy of a Nobel peace medal. There are probably other Nobel war hawks and reactionaries to inspect. I don’t pretend to be informed about every prize winner. And there are a few worthy recipients who come to mind, such as Martin Luther King, Jr., Linus Pauling, Nelson Mandela, and Dag Hammarskjöld. In sum, the Nobel Peace Prize often has nothing to do with peace and too much to do with war. It frequently sees “peace” through the eyes of the western plutocracy. For that reason alone, we should not join in the applause.